Coca Cola advertising for the 2010 FIFA World Cup. Worked in 3D layout and animation. To support actions surrounding the vote at the UN for an optional protocol on ESCR, the audiovisual team at the IS has commissioned an exciting new animation. 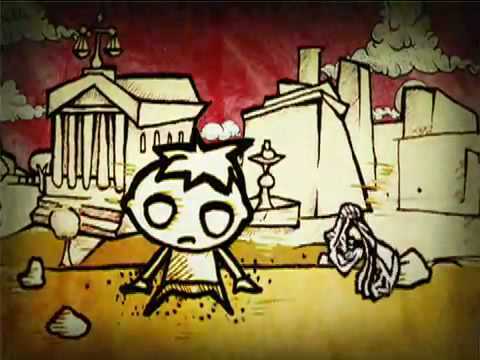 To coincide with the events around the International Day For The Eradication Of Poverty on 17th October 2009 the audiovisual team at the International Secretariat has produced the animation, Together We Can Beat Poverty. Amazing 3D animation by Patrick Jean. A interesting adaptation of old school subject matter. Here’s a great animation done for Nike by James Jarvis. Simple, engaging and a great story-telling example. Yesterday was the annual Oscar awards and the winner of short animation was Logorama, a short 3D movie made entirely out of logos. The concept is pretty interesting, because that is is close to the truth: everything around us is branded. Unfortunately, the story is weak, making the logos more like a gimmick, no matter how cool it looks like. Ignore the preview video above and just go here to see the full Logorama. It’s made by the French collective H5, who is known to make awesome animated music videos like Royskopp’s Remind Me and Goldfrapp’s Twist. Here’s another music video they made, At The End Of The Sky from Darkel.